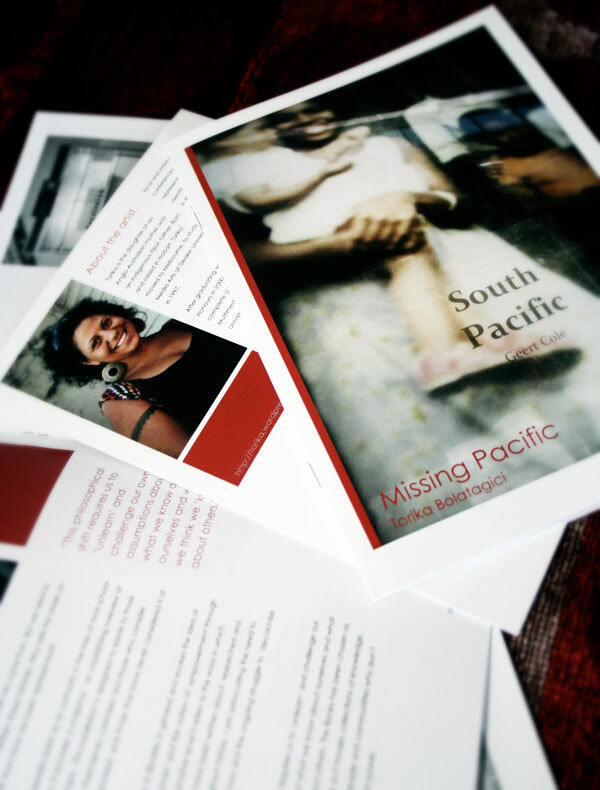 "Missing Pacific" catalogue now available. An 8-page catalogue for Torika’s installation project, Missing Pacific is now available. For a free copy, please email: torika76(at)gmail.com. Yaaay! Pics from Ema Tavola’s solo exhbition BLOOD + BONE are now online! 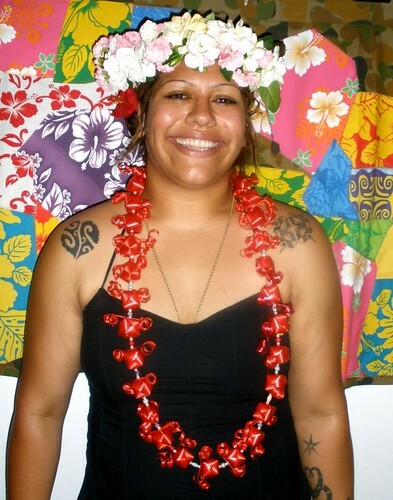 Check out Ema’s Flickr page and keep up-to-date with her work via her website – Colour Me Fiji. It gives me great pleasure to be able to launch the Pacific Storms exhibition in Brisbane. This exhibition is the first of its kind in Australia. It features leading Pacific Islander artists, both from Australia and the Pacific, and it has as its theme the changing climatic conditions which are affecting the islands in dramatic ways. Pacific art is always vibrant and full of colour, and this collection is no exception. The wonderful colour and feeling jumps off the canvass to grab the attention of the viewer, and also carries a powerful message. Pacific Storms - Opens next week in Brisbane! 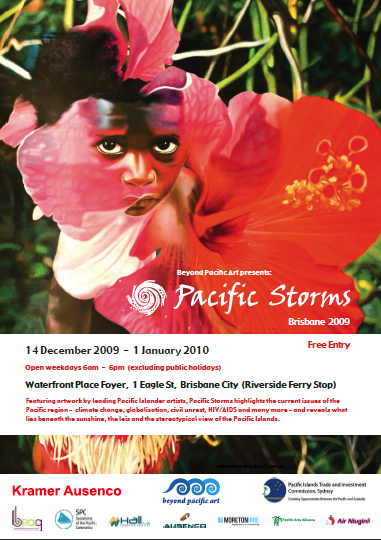 Featuring artwork by leading Pacific Islander artists, Pacific Storms highlights the current issues of the Pacific region – climate change, globalisation, civil unrest, HIV/AIDS and many more – and reveals what lies beneath the sunshine, the leis and the stereotypical view of the Pacific Islands. Curated by Joycelin Leahy. Day One of Copenhagen was punctuated by a number of passionate and emotional speeches, but the one which attracted yesterday’s headlines was by a young women from Fiji, Leah Wickham. Ms Wickham begged delegates to come to binding agreeements so that she and many young people like herself can look forward living in her island paradise. After the first official press conference, young people from all over the world entered the auditorium holding up large scale building blocks which spelled out “10 million people expect a fair, ambitious and binding deal” to show leaders how important it is to get an effective climate deal. Leah Wickham told Geraldine Coutts – from a train on her way to Poland and her next speech on climate change – that the attention has come as a bit of a shock. Cybertribe is an online art gallery profiling the work of indigenous Pacific artists that conventional exhibitions overlook.